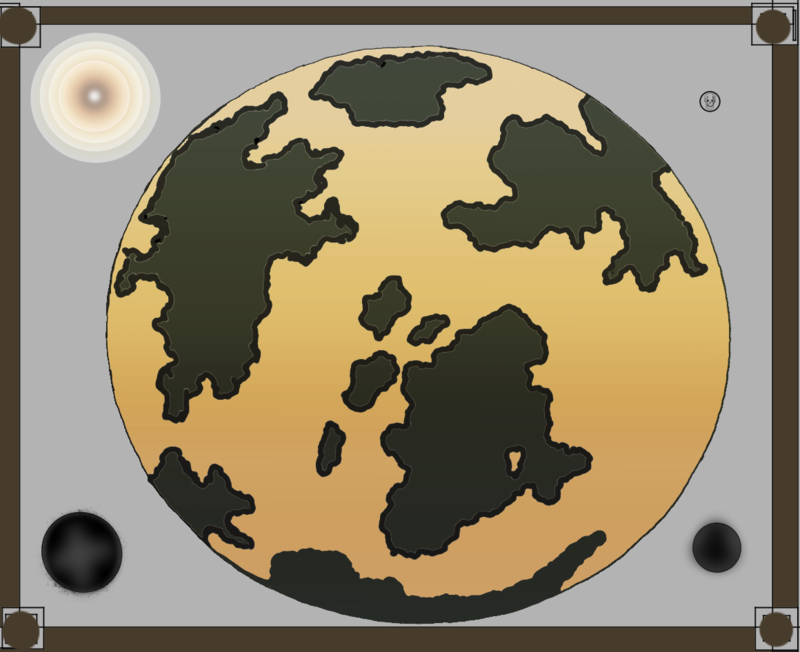 In case if it is not obvious enough,I traced in game icon of a globe (presumably of Eora itself). Because of a heavy pixelation this mockup is in no way geographically correct in details (hense why I call it interpretation). Still I hope it can give you some shape of the world we all love and play. On the drawing you can see the Sun,two moons - Ondra's Beloved and The Black Runner plus the third,extinct one called err...Abydon's Folly,Godhammer 0.5,Celestial Spoiler Supreme..? (Your own names are welcome!) Oh and Eora ofcourse. So all of this said and done,can you find Free Palatinate of Dyrwood? Edited by Mraicor, 31 August 2016 - 04:23 AM. Just my guess but pretty sure this is just some icon one of their junior graphic artists came up with and not the actual world Eora. If they go with it then fine but their creative potential shouldn't get locked away because some guy on the net thought the icon was the real thing. Edited by Ohmega, 02 August 2016 - 02:03 AM. I do not imply that this is an actual representation at all. This is just an attempt to imagine the planet with the closest visual thing I could find to a hint. Edited by Mraicor, 02 August 2016 - 02:24 AM. White that wends as a far south antarctica. The only problem I have with the idea is that it looks like the actual world map with slight tweaks. I would rather their world map just be their own thing. I recall in one of the Q&A Livestreams, the reason they haven't released any sort of world map is because they don't want to commit to anything yet. Or something to that effect. Building an entire plant is a difficult task. Someone posed the idea of a 'fake' work map, a map of what characters in game think they world looks like. Yea would love to actually see a full world map.